Or as John Egan discovers, in diplomatic parlance, it is the art of compromise. It seemed that the time for talking was running out at the OECD yesterday. President Donald Trump’s most senior trade envoy had told a forum on trade that the trouble from his perspective – and therefore the United States’ – was that there had been too much talk and not enough action. 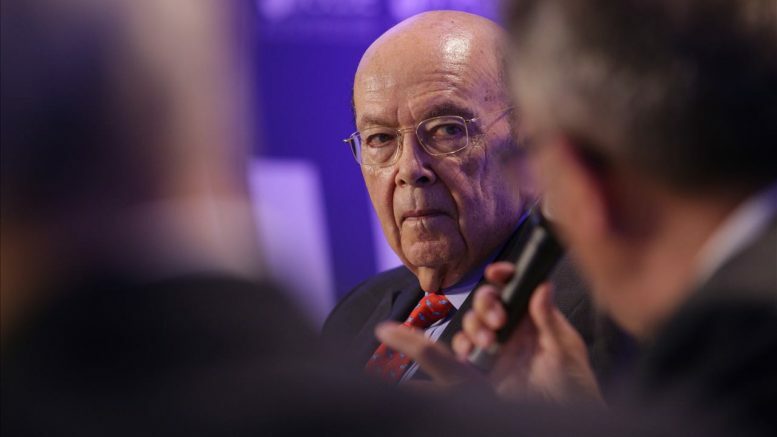 The result, Wilbur Ross, US Secretary of Commerce, told OECD delegates at a forum in Paris, is that the US ends up with trade deals that do not serve its best interests. Mr Pereira said it was important to do both. The Organisation for Economic Co-operation and Development (OECD), which has 37-member nations – including the US – is one of the world’s most significant multilateral institutions. The focus of yesterday’s meeting was to explore ways to create an inclusive and sustainable multilateralism – to create economic win-win situations around the world. True to this mission Mr Pereira said: “Well I think it is important to do both. If we don’t dialogue, if we [don’t] all talk to each other we will get to a solution that – as we have seen from the past – is not good for everyone, certainly, and very often this has significant consequences for the individual countries. “I have been a policy maker and, you know, when you deal, when you do deals, you do negotiations, the end result is not necessarily the one you start with, OK. In order to get a good negotiation, very often, you have to be very stern and then we dialogue, you get a compromise. OECD Forum 2018 – Session: The Faces of Trade 30 May 2018.